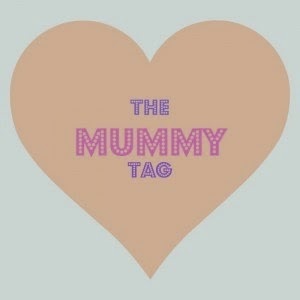 I came across this 'mummy tag' on My Life as A Mummy and loved the idea! Although on this side of the pond, we say 'Mommy.' Here we go. I'm a work from home--- but freelance so only about 10-12 hours per week and when the work becomes available. No for right now but yes in the next few years as the girls get older. I can't see myself totally going back to the corporate world though. I did when Cassia was born but with two, I decided against it. I did not enjoy it. No! I've heard too many horror stories about baby suffocation and I'm too light a sleeper anyways. When we have sleepovers at other people's houses, I've slept with my kids-- Cass is a kicker so that's not cool but A is a cuddly, sweet sleeper. Gosh, there are so many items that I love but maybe the tiny baby rocker like this one. I never had one with Cass so I guess technically it's not a must have but I used it so much with A. 2 and through... We are done!! I would say maybe every 2-3 weeks. Most nights when the kids go to bed, D and I watch tv together though. Cassia now loves the Disney sitcoms and A loves Yup Yups and The Wiggles. I bought these baby feeding spoons which were a total waste! Cassia's is anything with cheese- sandwiches, pizza or pasta. Anjali is more of a little gourmand, trying the different flavours and textures. Just yesterday for lunch, she had caprese pasta, chicken, goat cheese and avocado. We have 2. An SUV for me and a car for D.
I gained 40 pounds with Cassia and lost it nine months after she was born. It was hard work! With going back to the corporate world when C was born, travelling for work and juggling being a mom, I fluctuated with my weight quite a bit as my eating wasn't always the best and I couldn't exercise as often as I wanted. With A, I was determined not to gain as much weight as I started off seven pounds heavier than I did with C. I gained 27 pounds but lost it in the first nine weeks as I began watching my junk intake and exercising more. I still ate but less nonsense! I lost like 40 pounds in total. THough I've gained some of it back, I exercise 4-6 times per week and do some conditioning so I think that some of the weight is muscle. I could still stand to lose 5 pounds though. I think it would be Beaches Turks and Caicos- we've been twice already. Or maybe a nice Hawaiian vacay as they get older. I would love to go back to Europe. Italy (for the second time), Greece or Spain would also be nice. Bedtime is a big deal now. Gone are those late nights! Ok this sounds weird but it's when my children say 'Thank you', 'Good Morning', and 'You're Welcome'. I'm a stickler for good manners. Oh and when they snuggle up next to you and fall asleep. I don't really have one specific place but I love Gymboree, Baby Gap and Zulily for the one of a kind designer pieces on sale. And Children's Place has great pants and leggings. I am a make up junkie! My favourite these days though are Smashbox CC cream, Mac Bronzer and Mac Taupe Lipstick. In terms of skincare, I'm also a bit of a junkie. I love this Obagi Facewash for oily skin, Vitamin C Serum, Vitamin A creme and an under eye cream! Pampers. I used to work at Energizer (competitors of P&G, makers of Duracell and Pampers) so I was determined to use Huggies when Cassia was born. 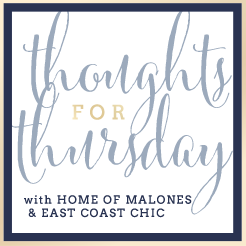 We had sooo many leaks- chalk it up to a new mom's in-expertise or a product that wasn't working for me. Either which way, I started using Pampers Swaddlers and the Baby Dry. Yes! I knew from the very beginning... and more than that, I knew I wanted a daughter... and then I got greedy and wanted a second daughter. It would have to be the outbursts of uncontrollable laughter--- and the sweet snuggles- Tie! Today I'm linking up with Annie , Amanda and Natalie for this new link up. Can't wait to read everyone else's Thoughts for this Thursday!